Our congregation has continually served the community since formation in 1862 with our current church building being built in 1872. Additions have been made with a parish hall in 1950, a new parsonage in 1957, office additions to the parish hall in 1992 and a ramp to make the church building handicapped- accessible in 1993. 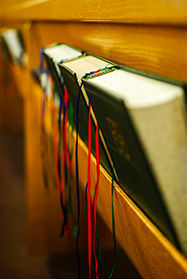 After many years of prayer and deliberation, our congregation moved from the ELCA to LCMC in June 2011, adopting our current constitution in October 2011 as part of this process. Our congregation remained fully intact during and after this transition with no residual conflicts. While many mainline churches and congregations in the community have faced decreasing attendance over the years, St. Paul's has been able to maintain an average weekly worship attendance in the 70s until very recently where average attendance is in the 60s.